Analysts report data reveals a total of 1,776 MW of new solar capacity tendered in the month of December, 2016, with the Solar Energy Corporation of India accountable for more than 1 GW. India continues to shine bright even at the last month of the year, 2016, by tendering more than 1.7 GW of new solar capacity, as reported by market analysts Mercom Capital Group. The lion’s share of the new solar capacity goes to the credit of Solar Energy Corporation of India (SECI), the government’s authorized solar division that has been the driving force behind a push to build 1 GW of rooftop solar PV atop government buildings nationwide. 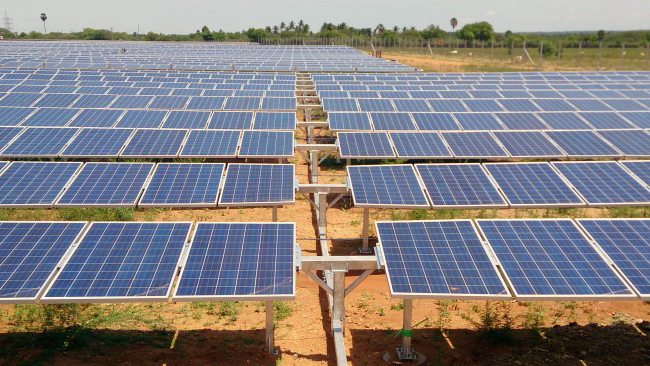 Along with SECI’s 1 GW worth of tenders, Neyveli Lignite Corporation (NLC) also issued two solar tenders in December for 500 MW and 250 MW, to be set up in Tamil Nadu and Odisha respectively. 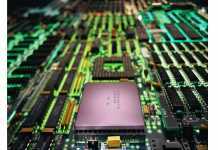 The remaining capacity offered came from Hindustan Aeronautics Limited (HAL) for 15 MW to be built at the HAL Ojhar Township in Nasik, and 10 MW from Rajasthan Electronics and Instruments on behalf of the Oil and Natural Gas Corporation (ONGC) for a project in Gujarat. Mercom Capital reported that the 1,776 MW of tendered solar capacity in December was more than double the 755 MW tendered in November. With 2016 ending bright, India’s solar market awaits in optimistic anticipation for 2017. 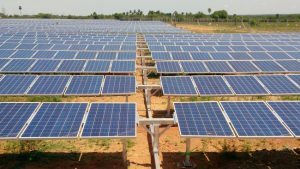 As a positive beginning, announcement came on January 1 that the Tamil Nadu Electricity Regulatory Commission (TNERC) has permitted the Tamil Nadu Generation and Distribution Corporation (TANGEDCO) to issue a further 500 MW tender for solar through competitive bidding.